Toyota currently has an industry-leading position in the field of new energy vehicles with hybrid power. In the future, it also plans to invest more R&D in this area and launch models involving larger-scale vehicles. Recently, Toyota plans to introduce a number of large-scale hybrid SUVs, including Land Cruiser hybrid version and LX hybrid version. In addition, Toyota's two full-size SUVs are expected to carry a 3.5L engine + motor hybrid system, refer to the already listed RX hybrid version, GS hybrid version and other models, the future of two full-size hybrid vehicles fuel consumption is expected to drop 100 kilometers To 8L or so. Toyota is expected to push two full-size SUV hybrid models to enrich the product line. Toyotaâ€™s and Lexusâ€™s two brands in the hybrid segment are currently dominated by cars, with Lexusâ€™s sedan product line offering hybrid products. In the SUV field only the RX450h is a hybrid system. 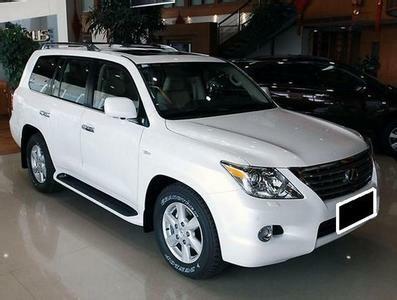 In the future, the mixed version of the Land Cruiser and LX models will be enriched in this area. In terms of power, Toyota plans to launch two full-size SUV models that are expected to carry the hybrid system on Lexusâ€™ GS 450h and RX 450h. It is composed of a 3.5L V6 petrol engine + electric motor, of which the 3.5L engine has a maximum power of 215kW and a peak torque of 352Nm, providing strong power support for the two full-size SUV models. The combined fuel consumption of the Lexus GS 450h and RX 450h is 6.7L and 7.1L, respectively. Due to the Toyota's more sophisticated hybrid system, the 100km integrated fuel consumption of the full-size SUV model is expected to be only about 8L. The introduction of the two models, in addition to further enriching Toyota's hybrid product lineup, will also increase its competitiveness in this market segment in the future. UHMPE has many names: Ultra-high-molecular-weight polyethylene (UHMWPE or sometimes shortened to UHMW), also known as high-performance polyethylene (HPPE). Manufacturers of ropes for boat use and general marine applications wax poetic and can only speak in superlatives when describing HMPE! â— UHMWPE Rope does NOT absorb water. â— HMPE feels very slippery to the hand. â— DyneemaÂ® and SpectraÂ® are not weakened when wet as nylon is. â— HMPE has a very low coefficient of friction. In this it is similar to Teflon which is very slippery. â— UHMW-PE has good UV resistance.